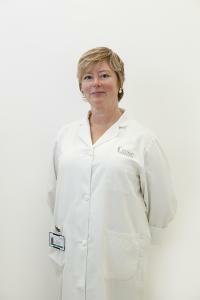 Maribel Diaz-Ricart is a Doctor in Pharmacy working at the Department of Hemotherapy and Hemostasis, Hospital Clínic in Barcelona, She is responsible for the Primary Hemostasis Lab. Her main lines of research are focused on the study of the mechanisms involved in platelet and endothelial function in physiology and pathology. Dr Diaz-Ricart collaborates on projects for the Josep Carreras Leukaemia Research Institute with the the BET Research Group.